For many years, businesses in the Jupiter area have depended on the outstanding commercial cleaning services of J & H Commercial Cleaning Services, LLC. We are a well-established, full service janitorial company who are committed to the highest standards of sanitation and cleanliness. Using the most powerful and effective cleaning equipment and products, we diligently remove debris and accumulation from all surfaces of your business. You’ll appreciate our exceptional customer service, prompt response rates, and competitive pricing. Our business is the one to serve yours. To request a free quote, contact us today! Your workplace sees tremendous amounts of traffic. With staff, clients, and associates constantly coming and going, your business location is certain to accumulate dirt and debris. The aesthetic element of cleanliness is just the beginning. Retaining a clean, hygienic environment increases your workplace’s productivity. Regular cleaning and sanitizing will greatly reduce the spread of bacteria and viruses. 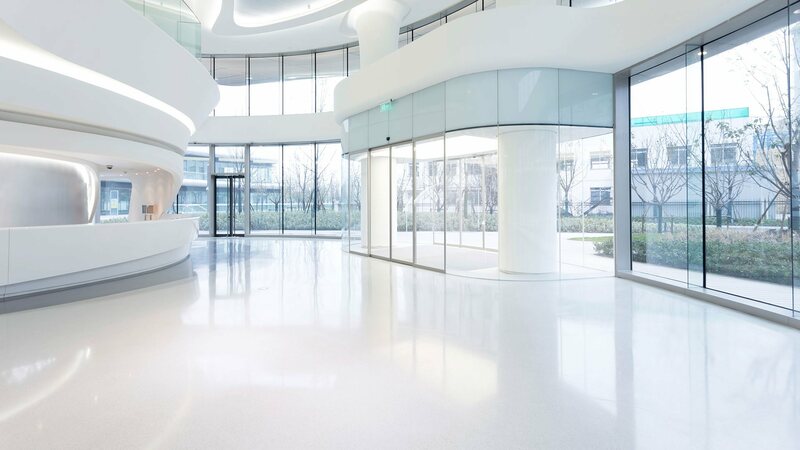 As a leading team of commercial cleaning professionals, we have the knowledge and resources to provide a deep clean to all areas of your business. Our services include diligent floor and carpet cleaning, glass and window cleaning, disinfecting of bathrooms, kitchens, and other public spaces, equipment dusting and wiping, and anything else your business may require. We also perform dependable trash disposal as well as mold and mildew removal. When you choose our team for your business cleaning needs, you’ll benefit from our unmatched expertise and wide range of capabilities. Our list of satisfied customers includes commercial and industrial enterprises in a wide variety of industries. No matter the size or specialization of your business, we have the ability to create and maintain a tidy and welcoming professional environment. Examples of facilities we offer our commercial cleaning services to include office buildings, educational facilities, medical practices and clinics, industrial and warehouse settings, banks, retail locations, restaurants, and any other commercial space. We can set up a regular maintenance schedule, arriving on a weekly, biweekly, or monthly basis to keep your business looking inviting at all times. We are fully licensed, bonded, and insured to guarantee your satisfaction with our services! We use only the latest, most effective cleaning products available on the market today. All our cleaning products are highly powerful, yet safe for your staff and customers. We diligently restore your business to its tidy, hygienic original state. We are also pleased to offer green cleaning products, featuring non-toxic ingredients, energy saving equipment, and other environmentally-conscious cleaning choices. You can be confident in an effective, safe, and sustainable approach to commercial cleaning. Regardless of your commercial cleaning needs, the specialists at J & H Commercial Cleaning Services, LLC offer the services your business requires. With our impressive attention to detail, use of top-quality materials, and great rates, we are proud to be Jupiter’s leading commercial cleaners. Set up a regular cleaning schedule and enjoy the benefits of a clean business location. When it comes to improving the look and feel of your business, you need to make sure that it is cleaned to the highest possible level. And while many business owners like to think that they can do this work themselves, the reality is that most don’t have the time, energy or expertise to carry out this task properly. So, whether you operate an established business or one that is just starting out, you need to know that customers and staff members are much more likely to have higher confidence in your business if it is being designed and produced in an environment that looks and feels great. 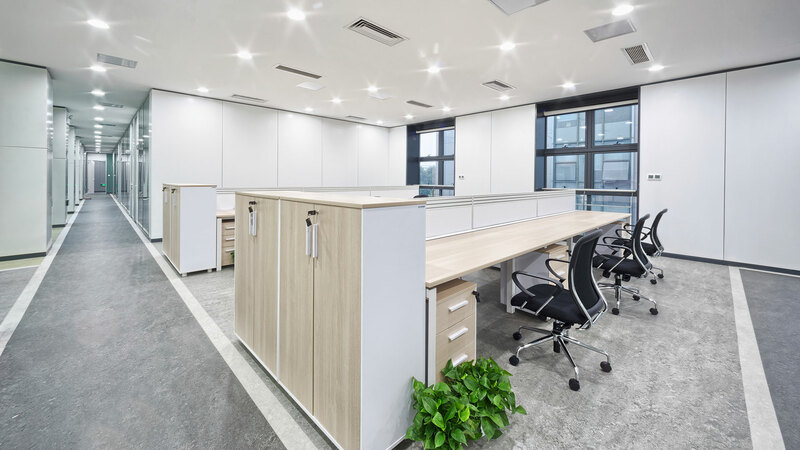 At J & H Commercial Cleaning Services, LLC, we make sure that every part of your commercial space from the kitchen to the boardroom looks its very best at all times. Don’t take chances with inferior cleaning teams when the number one option in the Jupiter area is here for you to use. As a business owner in Jupiter, you don’t need us at J & H Commercial Cleaning Services, LLC to tell you that first impressions count and if you want to make sure that your restaurant, office or retail space is as enticing as possible to new clients and returning customers then you need to make sure that you enlist the services of a commercial cleaning team you can rely on. At J & H Commercial Cleaning Services, LLC, make sure that your floor is clean, your trashcans are emptied, and your bathrooms are appealing. If you are able to offer new team members and customers a fresh and pristine workspace that looks and smells great, then you have a far greater chance of getting the results that you want. At J & H Commercial Cleaning Services, LLC, we work closely with all our commercial clients to make sure that they can offer the most enhanced commercial cleaning service in the Jupiter area. Less Time-Consuming: At J & H Commercial Cleaning Services, LLC, we use our expertise and experience to ensure the best possible results in the least time imaginable. Our commercial cleaning service uses the highest quality gloves and eye protection to make sure that these standards are adhered to. Reasonable Price: At J & H Commercial Cleaning Services, LLC, our competitive rates combined with our flexible payment plans mean that you receive a cleaning service like no other that won’t break the bank. Better Focus on Work: By hiring us, you will get exactly what you should—a tried and trusted commercial cleaning service.